Looking for movie tickets? Enter your location to see which movie theaters are playing The East near you. 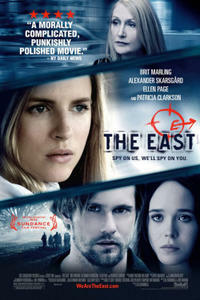 An undercover agent (Brit Marling) infiltrates a group of ecoterrorists. Possibly controversial messages in eco-terrorism thriller.